America First or Saudi Arabia First? This week you are scheduled to meet with Saudi Deputy Crown Prince Mohammed Bin Salman. As a 9/11 widow who has fought for more than 15 years for truth, justice, accountability and transparency with regard to the murder of my husband, Ron, I have a considerable interest in your upcoming meeting with the Deputy Crown Prince. First, foremost and for good reason, I fear that the Deputy Crown Prince will not be forthright with you about his Kingdom’s role in the 9/11 attacks and global terrorism. Indeed, many in the Kingdom refuse to tell the truth about their continued, long-standing, and well-documented clandestine, logistical and financial support of radical Islamist terrorist groups that target and kill innocent Americans. On page 417: One of the individuals identified in the pages as a financial supporter of two of the 9/11 hijackers, Osama Bassnan, later received a “significant amount of cash” from “a member of the Saudi Royal Family” during a 2002 trip to Houston. 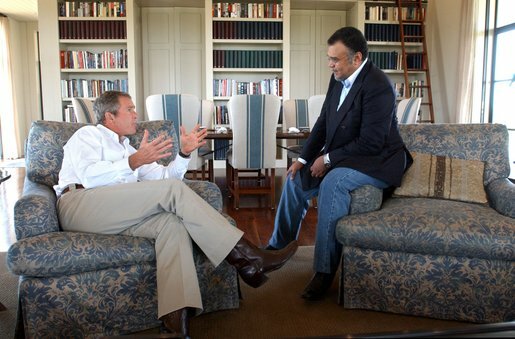 On pages 418 and 419: Detained al Qaeda leader Abu Zubaida had in his phone book the unlisted number for the security company that managed the Colorado residence of the then-Saudi ambassador to the United States, Prince Bandar bin Sultan. Fortunately, as you know President Trump, JASTA (Justice Against Sponsors of Terrorism Act) was enacted into law — overriding President Obama’s veto — on Sept. 28, 2016 and the 9/11 Families were given the right to hold the Kingdom of Saudi Arabia accountable in a court of law for its alleged role in the 9/11 attacks. Thanks to discovery and subpoena power, the 9/11 families hope to unearth and reveal a panoply of compelling information surrounding the Saudi role in the 9/11 attacks. Suffice it to say, we do not believe the Saudis should be considered an ally of America. Unsurprisingly, the Saudis continue to wage war against the 9/11 Families and JASTA by paying millions to their 14 powerful, insider Washington DC lobbying firms, like the Podesta Group, to repeal JASTA and rob us of our day in court. In addition, some of the Saudis’ key legislative supporters who threaten to repeal JASTA are Senators Lindsey Graham and John McCain. Sadly, McCain and Graham choose to protect the Saudis rather than American victims of terrorism. Quite horrifically, one of the Saudi lobbyists — Qorvis — was recently caught trying to dupe, manipulate, and pit U.S. veterans against the 9/11 families. According to media reports, Qorvis offered vets an all-expense-paid trip to Washington (staying at the Trump Hotel) to lobby against JASTA without telling the vets that it was Saudi money funding their trip. Given that many of these vets had joined the military in the wake of 9/11, the discovery that they were now being duped into “working” for the enemy they enlisted and risked their lives to fight against, was extremely upsetting. Pitting American veterans against American victims is the lowest of the low — yet, there seems to be no lengths that the Saudis will not go. Which brings me to my last point — the Saudi Aramco IPO on Wall Street. Mr. President, my husband was burnt to death on September 11th. The remains I received included his two arms, a few fingers, and his wedding band. Thousands of innocent people were brutally slaughtered and turned to ash in broad daylight on that horrific day, now more than 15 years ago. The notion that the Saudis — whom the 9/11 Families are currently trying to hold accountable in a court of law for their role in the murder of our loved ones — want to return to the scene of their own alleged crime to make billions of dollars is immoral and simply untenable. As my fellow 9/11 widows and I have repeatedly said—not over our husbands’ dead bodies. President Trump, you have structured your campaign and current policies around being for America First. The 9/11 Families certainly hope that you remain steadfast in your belief that Americans must be protected, supported, and heard, first and foremost above all others—particularly those like the Saudis who fund radical Islamic terrorists that target and kill Americans.